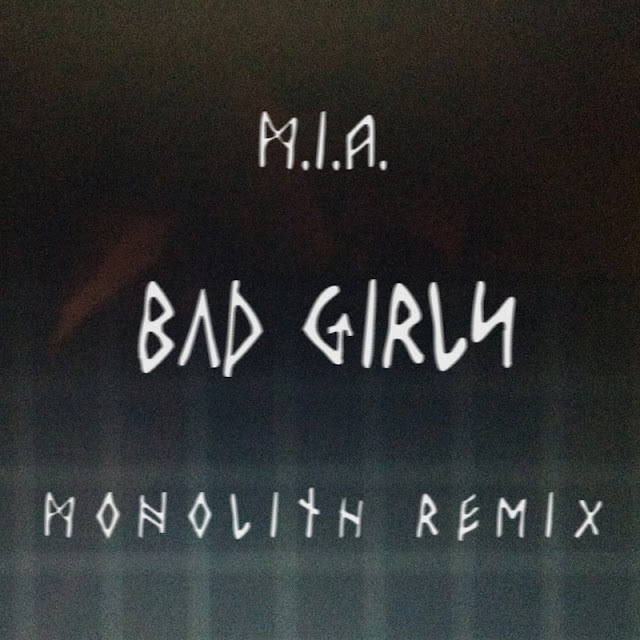 Just in case you need something a little heavier in your musical diet today check out this tasteful Monolith dub-step remix for M.I.A. 's "Bad Girls". Pretty sweet and free for the taking. As a bonus here's also M.I.A's video for "Bad Girls" just in case you haven't seen it. Although probably not many of you. The video has almost 12 million hits! Pretty unbelievable how big she's gotten. I remember bringing her to her first Miami show at I/O Lounge many years ago when she was just starting out. Seems like an eternity ago. Potente canción....el vídeo tiene momentos interesante.....con los coches claro!! !